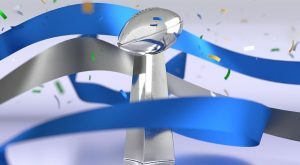 Last weekend, eight potential winners of the Superbowl became four as the four Divisional Playoffs were contested, leaving some new names, as well as some familiar faces, remaining as potential Superbowl winners. This coming weekend, the next step in that quest will be completed as the two Conference Championship games will be contested. These games pit the top two teams in the NFC against each other and similarly, the top two teams in the AFC will also battle it out. The winners of these two games then go on to contest Superbowl LIII in Atlanta in February, the weekend after the Pro Bowl. If you fancy a flutter on the games this weekend, or indeed any of the few remaining games in the NFL season then head to bet365 Sport. New customers can qualify for up to £100 in bet credits if they sign up with the current bet365 Sport New Customer Bonus. Before we preview the two Conference Championship games, let’s bring you a brief recap of how things turned out in the Divisional Playoff games, starting with the two games in the AFC. The Kansas City Chiefs powerful offense may have been earning the rave reviews throughout the season, but it was their defense that came up big against the Colts, causing the highly-regarded Colts offensive line all kinds of problems and putting quarterback Andrew Luck on the back foot. A strong defensive performance allied to the usual fireworks on offense saw the Chiefs take an early stranglehold on the game and they never let up, taking a 24-7 lead into half time and then holding on to secure a comfortable victory. Don’t let the scoreline of this game fool you into thinking that this was a real contest, once the New England Patriots had got in control of this game in the latter stages of the first quarter, Tom Brady’s team were well on top for the vast majority of the game. Indeed, it was only a later ally by the Chargers, who by this point were already well beaten, that saw them close the deficit to 13 points in the fourth quarter. They may not be the best Patriots team ever, but once again they managed to get the job done in the post-season. Dallas began this game brightly but an outstanding second quarter display from the Rams was enough for them to amass 17 points and as such, claim an unassailable lead in the game. The key was the Rams rushing offense which saw two players, C.J. Anderson and Todd Gurley both go over 100 yards in the game, Anderson claiming two touchdowns and Gurley one. The Cowboys tried to battle back in the second half but stout Rams defense and the occasional score always kept the Rams clear of a Cowboys comeback. Perhaps the biggest drama on the weekend came in New Orleans when from the very first play on offense, Drew Brees threw an interception. That saw the Eagles convert on their first two possessions to take a 14-0 lead and perhaps send a message to the NFL that the Eagles were going to defend their Superbowl strongly. However from then on, the New Orleans Saints began to claw bac that deficit, reducing it to 14-10 by half time and then a touchdown and field goal in the second half put the Saints in front. The key play came late in the game when Alshon Jeffery let Nick Foles pass go through his hands, allowing Marshawn Lattimore the chance to intercept the ball on the Eagles final drive to clinch the win for the Saints. 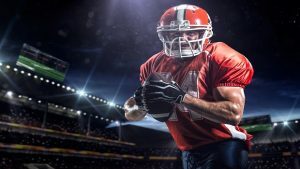 These two teams met earlier on in the season and it was the Saints who emerged triumphant, winning a hugely exciting shootout 45-35 in the Lousiana Superdome. 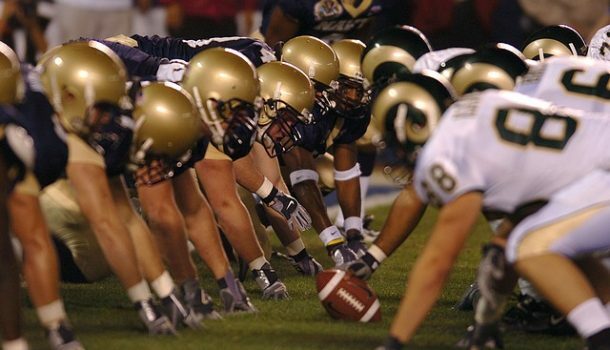 That loss was the first of the season for the Rams and it proved crucial as it is the deciding factor in this game being played in New Orleans, rather than Los Angeles as both teams finished with a 13-3 record, but the Saints have the edge on the head to head between the teams this season. While both teams have high-octane offenses, it may well be the performances of the defense for each team that decides who makes it to Atlanta. Neither team’s defense has earned huge plaudits this season but both have turned in better performances in the playoffs and that I believe makes this game a very difficult one to predict. If the Rams can run against the Saints as they did the Cowboys, then I feel Los Angeles could surprise a few here and as such, I am backing them to claim the win on the back of Todd Gurley and C.J.Anderson. If there’s one thing that being an NFL fan has taught me over the years, it is to never bet against the New England Patriots when it comes to the playoffs. This is the teams eighth straight AFC Championship game, an astonishing record and when you consider the experience of five-time Superbowl winning Champion Tom Brady, you’d have to think that the team has a real chance against a Chiefs side that are notorious for blowing up in key games. With Julian Edelman looking back to his best, Brady has a real threat that can cause the Chiefs plenty of problems, but despite this, I am still going for the Chiefs to land the win and earn their first Superbowl trip in many years. Why is that? Well simply this Chiefs offense is so difficult to predict. They have an outstanding rookie quarterback in Mahomes, a stunning receiver/runner in Tyreek Hill and the best tight end in the NFL at the moment in Travis Kelce. Add to that a superb corps of receivers, a strong o-line and a defense that perhaps does not get as much credit as it should and I think, while the Patriots will still push them close, the Chiefs will do just enough to claim the win here and earn there spot in Georgia in a fortnight’s time.